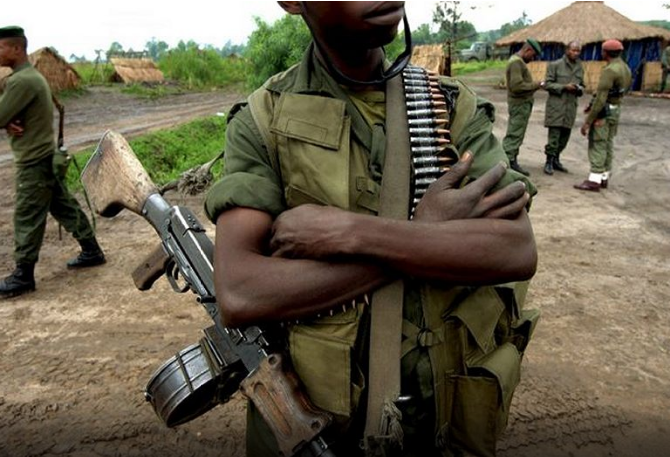 KINSHASHA – Residents of Butogota Town Council in Kanungu District are living in fear after armed men from the Democratic Republic of Congo (DRC) kidnapped one of their own at gunpoint. Butogota town was kidnapped by the armed men as he tilled his garden in the morning hours on Monday. “Mbeeta was taken and we don’t know whether he is alive. Let security agencies help us,” said one of Mbeeta’s relatives, who refused to be named. He added that Mbeeta left alone to work in the garden with the hope returning around midday. He, however, said two militias emerged from the nearby bush armed with a rifle and tied Mbeetas hands and left with him. When contacted, Kigezi region police spokesman Elly Maate confirmed the incident. “The relatives told us that he was kidnapped around 10 am from his garden adjacent to the Uganda –DR Congo border,” Mr Maate said. He added that the case has been recorded at Kanungu police station and investigations into the matter are underway. He explained that after kidnapping their victim, the gunmen used his mobile phone to call his relatives demanding for a ransom of Shillings 2 million for his release. He said they have already started moves to rescue the kidnap victim. Mbeeta isn’t the first Ugandan farmer to be kidnapped by Congolese militias. The gunmen occasionally kidnap Ugandans and demand for ransom to release them. In August 2018, gunmen kidnapped Robert Mugabe, a resident of Busoni village in Kituba parish in Nakasongola district while transporting fish together with three other business people to DRC from Kasese district. The gunmen kidnapped Mugabe in Queen Elizabeth National park near the Southern Gate Army Barracks in Kanungu district. He was released after his family paid $7,500 (about Shs 27.6m) ransom.